Laurel Road is an FDIC insured bank which specializes in serving professionals and executives for the refinancing of private and federal student loans. The company offers great services for those looking to refinance their federal and private student loans. Laurel Road was formerly known as Darien Rowayton Bank. One of the great things about Laurel Road is that it has been in business for 11 years. Unlike other competitors, Laurel Road offers its services in all 50 states and to all accredited undergraduate and graduate schools in the United States. Laurel Road offers a helpful loan feature called unemployment protection. If you lose your job or struggle in hard economic times, the bank will allow you to postpone your payments for up to three months at a time. For the life of the loan, they offer 12 months total of postponed payments. Laurel Road requires that you show evidence of economic hardship, and then the company will halt the payments. This is an awesome feature to help borrowers out when they can't control their economic circumstances. The company offers a number of options to help you pay back your loans. Laurel Road allows you to refinance both federal and private loans. Borrowers may also choose a term of 5, 7, 10, 15, or 20 years with a minimum loan amount of $5,000 and no cap on the amount to be loaned. If borrowers do not qualify on their own, they have the option to add a cosigner. While interest rates are to be expected, some consumers feel that Laural Road's interest rates are not as low as others. However, those rates have recently dropped. For a fixed rate student loan with payback periods of 5, 7, 10, 15, and 20 years, the interest rates range from 3.50%-7.02%. For a variable rate student loan with the same payback periods, the interest rates range from 2.50%-6.65%. Laurel Road offers flexible options for refinancing your student loans as well as the fact that the company will help you out with forbearance on payments if you lose your job. Laurel Road offers a 0.25% discount on your interest rate when you make automated payments. While we believe that Laurel Road could offer lower interest rates, the company's rates can still be competitive depending on what you qualify for. 1. Savings example: average savings calculated based on single loans refinanced from 9/2013 to 12/2017 where borrowers’ previous rates were disclosed. Assumes same loan terms for previous and refinanced loans, and payments made to maturity with no prepayments. Actual savings for individual loans vary based on loan balance, interest rates, and other factors. 2. Application detail: 5 minutes indicates typical time it takes to complete application with applicant information readily available. It does not include time taken to provide underwriting decision or funding of the loan. 3. Total savings calculated by aggregating individual average savings across total borrower population from 9/2013 to 12/2017. Individual average savings calculation based on single loans refinanced from 9/2013 to 12/2017 where borrowers’ previous rates were provided. Assumes same loan terms for previous and refinanced loans, and payments made to maturity with no prepayments. Actual savings for individual loans vary based on loan balance, interest rates, and other factors. Laurel Road's loan application is neither quick nor easy. It took 30 days for this company to ultimately deny my application. I uploaded more than 10 pieces of documentation for consideration, including my paystubs, license to practice professionally, driver's license, tax returns, bank statements, and account statements of the loans I intended to consolidate. Biggest issues: -On the original application, I stated that I received $300/mo in extra income--I rent a room to a friend in my home. Laurel Road then requested that I upload my friend's paystubs. Ridiculous! So, I went back and removed that information from the original application and wrote a note to Laurel Road stating that I would not be uploading my friend's paystubs. They continued to send me form letters requesting her paystubs for 25 days, after I contacted them a total of five times about the issue. Finally, they removed the request for her paystubs. -Laurel Road requested that I upload a statement from another personal loan that I was intending to refinance. That personal loan is also through a web lender--Lending Club--and so I just pdf'd the home screen since they do not have formal statements. On that pdf, Laurel Road noticed that there was another tab that referenced another loan application from December. I had recently applied for a bigger consolidation loan through Lending Club but had been denied since I hadn't had the first one for long enough. Laurel Road insisted that I upload a statement from what they were perceiving as a 2nd loan-- as if I was being dishonest about my financial picture. I ended up uploaded the denial letter from Lending Club as proof that I didn't have a 2nd personal loan recently opened. -After a month of run around and meeting each request for documentation, Laurel Road denied the application, stating "borrower cannot verify information on application." This company leads people on with lucrative rates, but their underwriting department is not very bright. My credit score was 739 at the beginning of the application, with 100% on-time payments throughout my credit history. Like other posters, they would not give me a rate quote until they made a hard inquiry to all three bureaus. This company does not accept commissions as a part of your income and they do not disclose this on their website. They actually do the opposite, and ask you to submit proof of your commissions for the purpose of considering it. I make well over 6 figures and have for years, all on commission. I also have rental income and 800+ credit score. If you are in business development and want a loan to take that spur-of-the moment MBA, do not waste your time with Laurel Road. Nowhere on their site mentions commissions are unacceptable. When I called, a supervisor told me it's on their site and that commissions are against underwriting guidelines. This is a very unprofessional firm and if you are in my line of work, do not waste your time. We had a pretty bad experience with this company. I won't go into details but the problem seems to be this: the customer service people do not know the underwriting side of the business well enough to answer questions regarding loan applications. You will get a different answer every time you call and it will never be the right answer. Wasted a lot of time and was ultimately rejected for a loan. With a cosigner. I was approved for a mortgage using the same information by the way. If you are looking to refinance a student loan, keep looking. Very unprofessional and disorganised. They withdrew my application by accident and kept saying they had fixed it, but always had lied. End result they denied because they couldn’t “verify information” - I wasn’t even asked for additional info to help verify! Stay away from this bank!!! With name change from DRB bank they also changed management. And it is not a good change. They are awful now and very deceptive during the application process. They pulled my credit without my approval and there online application is missing information which they admitted but still would not correct. I was easily approved with no stress at another online refi lender. My advice is to not choose this bank they are deceptive and will cause you a ton of unnecessary stress during the process. This lender has terrible customer service. I recieved no less than 15 emails requesting information that I had already submitted. When finally speaking with a customer service rep she was rude and not helpful at all. I had to demand a phone call to figure out what the issue was. Upon speaking with her I realized immediately I did not want to give my business to this company or anyone connected. Beyond rude, terrible customer service and a waste of time and effort. Just wanted to give a heads up as to Laurel Road's underwriting policy (see below). I was denied with 740+ credit score due to a charged off non-student loan account that I settled more than 30 months ago. My recommendation if you are looking to refinance and have any blemishes besides a late payment (or two) on your credit report, is to go with Earnest, they approved me with a better rate than Laurel Road had initially offered and took the time to let the applicant explain any late payments or charge-off/collections prior to making their underwriting decision. 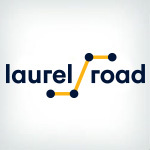 "Unfortunately Laurel Road’s Underwriting policy is to deny any applicants who have had collections, short sales, foreclosures, civil judgments, charge-offs, or repossessions by credit providers in the past 7 years. Poor service! This company wasted my time as well as my cosigner's time. They requested numerous, extraneous documents from us and performed hard credit pulls even though they were ultimately going to deny my application citing that my debt to income ratio was too high. I should have avoided these jerks like the plague from the beginning. My credit score would be even higher than it currently is and I would not have needed to release my personal information to them. I learned about DRB from reading a Wall Street Journal article and I'm so glad I did. They have absurdly low interest rates - lower than my mortgage. Overall, I had a wonderful experience refinancing my student loans. I was approved just over 24 hours after I applied and the process was quick and painless. Hats off to you, DRB! They offered me the most competitive rate in refinancing my med school loans and I found the whole process to be relatively straight forward. I rarely ever write reviews but they deserve this one. Good on you DRB. i'm an orthopaedic surgery resident with ~250k in medical student loans. istarted applying in august/september 2015. i checked in because i hadn't heard anything for weeks. i was told my application was complete by one phone representative. again, i went 2 weeks without hearing anything, called again and was told i was missing a form they forgot to send to me. i eventually signed the promissory note oct 24th and have been left out to dry and it's almost april. i've spent hours on the phone and been promised multiple times that i'd get funded in "2-3 weeks" and that i was put on the "fast track". frustrating and 100% unprofessional. i have finally reached a point where i cannot wait any longer and will look into termination options/alternatives (eg sofi, link capital, common bond).